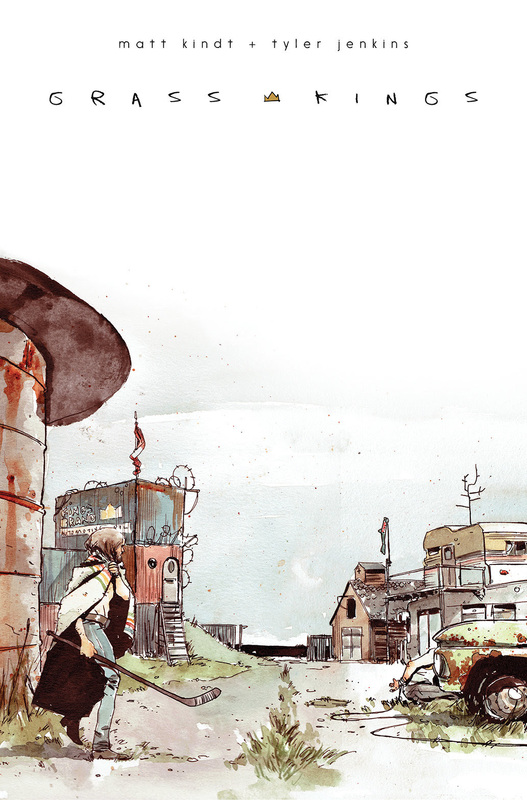 Tied to its upcoming original series GRASS KINGS by Matt Kindt (Mind MGMT) and Tyler Jenkins (Peter Panzerfaust), BOOM! Studios is excited to debut “Kingdom of Grass,” an original song and video by the band, Godkin, which features Jenkins on vocals and guitar. The video is available to watch here. GRASS KINGS is a rural mystery centered around the tragic lives of three brothers who rule a trailer park kingdom that's a beacon for the hopeless, the lost, and the desperate poor seeking a promised land. But will one brother's decision to take in an enigmatic young woman destroy everything the Grass Kings have built? Final orders for GRASS KINGS #1 are due on Monday, February 13, and the issue goes on sale in comic shops on Wednesday, March 8. It features covers by Jenkins, Kindt, and Fiona Staples (Saga). For more on GRASS KINGS and more from BOOM! Studios, please visit www.boom-studios.com and follow @boomstudios on Twitter.